Think of the last time you posed for a photograph. Did you flash your “pearly whites” or did you hide your teeth? If the look of your teeth is keeping you from feeling your best, you will be glad to know there are simple solutions, utilizing cosmetic dentistry and dental implants. Your teeth can be whiter, straighter and healthier. Are you looking to enhance your smile before a simcha? Do you want whiter teeth for a more professional appearance? We take teeth whitening seriously! Get started on the road to a more confident smile! Call now to schedule a consultation (02)625-6541, or just fill out the contact form and click Send. No Referral Necessary! 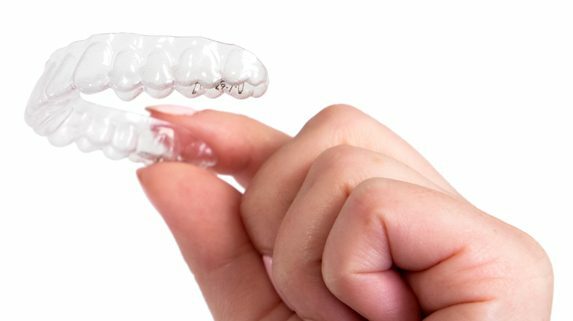 Invisalign and ClearCorrect are two of the well-known systems used for Clear aligner treatment. Clear aligners are a great option for esthetic orthodontic treatment. 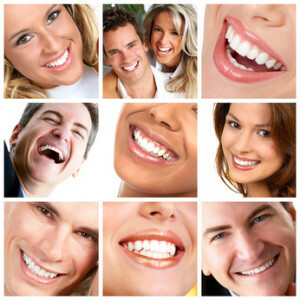 The system involves you wearing a series of custom-made clear, thin, removable acrylic trays. You are able to remove the aligners at mealtime and for your brushing and flossing routine. These trays straighten the teeth as an alternate treatment to braces. Your progression throughout the treatment is supervised by your doctor. Benefits of this system are that the trays are practically invisible in your smile and they are comfortable to wear. Metal braces are the traditional braces placed by orthodontists. They are made of high-grade stainless steel. They are bonded to your teeth, and use a system of brackets and archwire to straighten your teeth. The nice feature about these traditional braces is that you can add colored elastics in order to customize and brighten your smile. Self-ligating braces are different from traditional braces, as they use a specialized clip instead of elastics in order to hold the archwire in place. Because they do not use elastics, fewer adjustment appointments are needed. As well, less pressure and friction is placed on the teeth. They are available in high-grade stainless steel, but also can be available as ceramic or clear braces. Clear braces or ceramic braces are a more esthetic option for orthodontics. The brackets, or pieces that are bonded to your teeth are made from a clear or tooth-colored material—making them less visible in the mouth than traditional metal braces. Because they are larger and more brittle than traditional braces, they are more often used for tooth straightening in adults and older teens than in children or younger teens. Lingual braces are another esthetic option for tooth straightening. This system is a great option for adult professionals, models, actors/actresses, athletes and musicians. Lingual braces use a system of brackets that are custom-made in the dental laboratory to match the shape of your teeth exactly. These custom brackets are hidden behind the teeth and therefore the system has been nicknamed “invisible” braces. There are tiny canals within your tooth that may become infected. 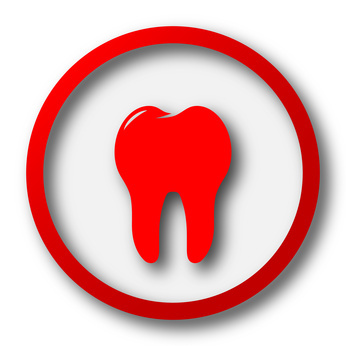 This leads to the pulp or nerve inside your tooth also becoming infected. Either your dentist or an endodontist(rooth canal specialist) performs the root canal procedure. The canals are cleaned and then filled and the tooth receives either a filling or a crown. Many of us have amalgam fillings (silver) or gold filling restorations. Some amalgam fillings were what we have called mercury fillings, as some amalgam fillings contained mercury. Metal fillings were effective, are proven to have longevity, but are very visible and often give the teeth a grey appearance over time.